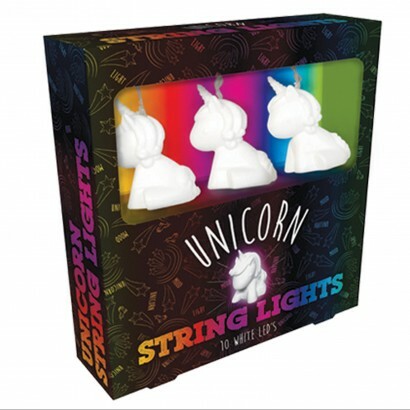 A touch of fantasy and imagination goes a long way and these enchanting unicorn fairy lights add instant magic wherever they're strung! Lit by warm white LEDs for a soft, gentle glow, these adorable unicorn lights offer comfort and reassurance to younger kids, and add a captivating glow to older kids space. 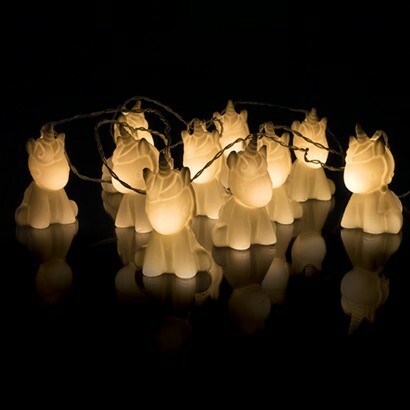 Battery operated, place these adorable lights anywhere in your home for a warm atmosphere and a magical glow.